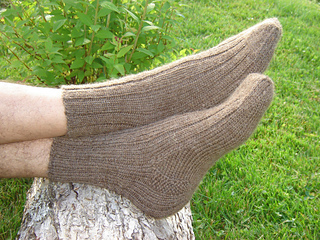 My husband really loves hand knit socks which is a good thing because I love knitting them! Unfortunately, he says that most of them a little bit fancy because I usually can’t resist throwing in cabling, so I created this sock pattern just with him in mind. 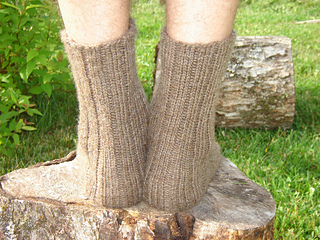 These socks are knit up fairly fast because of their simplistic design and they would be a fantastic weekend project. The light worsted weight yarn means that they are quite sturdy and should hold up to continuous wear and washing. 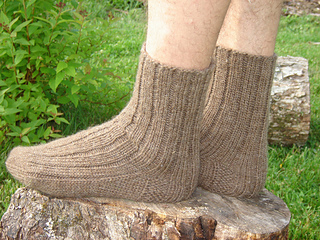 Maritime Wool Socks would make perfect work and .hiking socks or just kicking-around-the-house-cozy socks for yourself of someone special.